As they gather in Davos, Switzerland for the 2018 World Economic Forum, it is clear attendees hate bitcoin. On the sidelines of the event, Cointelegraph reported that Swiss National Bank chairman Thomas Jordan argued for "traditional" regulation of cryptocurrency in line with existing financial instruments. That, of course, would mean the end of anonymous bitcoin transactions. “We have a good medium of exchange called the dollar…we can trade in that. Why do people want bitcoin? For secrecy. 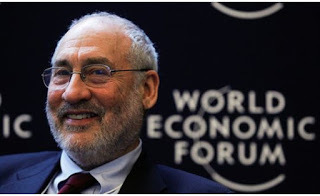 The banking system can and is already moving toward greater use of digital payments, but you don’t need bitcoin for that,” said Stiglitz. He could be right as far as suffocating regulation is concerned. "We have a good medium of exchange called the dollar…" I think the Chinese may have other plans.